It’s now been 40 days seen anyone saw President Muhammadu Buhari in Nigeria. Buhari, 74, departed the country on the evening of May 7, just after 82 Chibok girls had been returned to safety that Sunday morning. The statement from the State House was that the President was embarking on a follow-up medical vacation on his previous trip in the first quarter of the year 2017. The President was billed to be away for an indefinite period. In his absence, the nation has been run efficiently by Vice President Yemi Osinbajo. Amongst other things, the 2017 Budget has been signed into law. Media aides of President Buhari made sure to emphasise Buhari’s role in the eventual signature by Prof Osinbajo and have consistently put it out there that the Acting President was performing to the expectation and along the directives of the President. The Presidency has been quick to attribute the improving health of the economy to the Buhari administration but has said substantially little about the state of health of the President himself. The Federal Government’s Ombudsman, Lai Mohammed, has had to clear the air on the matter of whether Buhari is still alive. He states that London and Abuja have been in daily communication, hence, no cause for alarm. The body language has been that Osinbajo’s performances are only an extension of what Buhari himself would have been doing were he present and in charge. 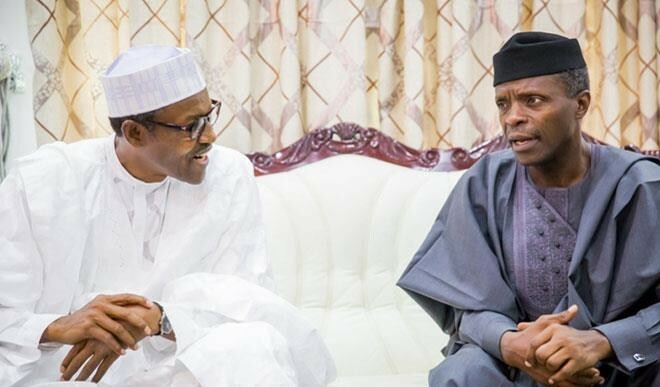 While the vast majority of commentators have not had qualms with Osinbajo’s efforts so far in steering the affairs of Government, the concern about the status of the Commander-in-chief has continued to increase. He is now being referred to as the Absentee President. By June 17, 2017, the total number of days for which President Buhari has been absent on medical vacation in 2017 will sum up to 90. Out of 168 days of the Year, that will amount to just about 54% presence. For any examination or assessment, that is hardly an impressive return. No first-generation Nigerian University will take you for Medicine and Surgery, with a 216 in UTME. The present predicament raises certain questions: Should Nigerians not know the state of the President? How has his forty-day treatment gone so far? And what is the most realistic date of return, other than the spurious June 11 mentioned the last time as a political statement? How long before Nigerians vacate the permission of an indefinite vacation without communication?